Peppermint is one of the foremost tastes and smells of the season. My kids ask me for candy canes every day. Every. Single. Day. I found some Andes Crème de Menthe baking chips recently and I wanted to make a dessert with them. Since it's National Brownie Day. . . . Mint Chocolate Brownies it was! These yummy, minty brownies melt in your mouth. I wish I could eat more, but self-control will hopefully take over. I have a little sick sneak here who keeps trying to come get more. . . . . 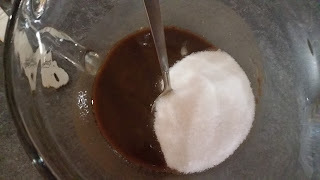 Meanwhile, whisk together the flour, cocoa powder, salt and baking powder. 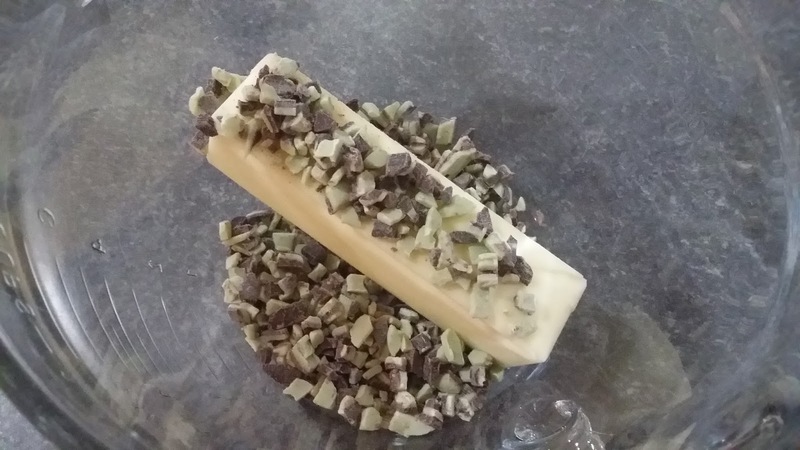 Once butter and mint chocolate chips are melted, stir until completely combined. 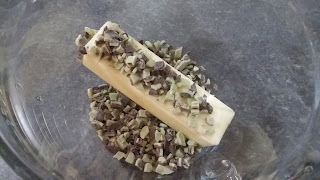 Add the white sugar and vanilla extract to the melted butter and mint chips and stir until combined. Add the 2 eggs and stir until combined. 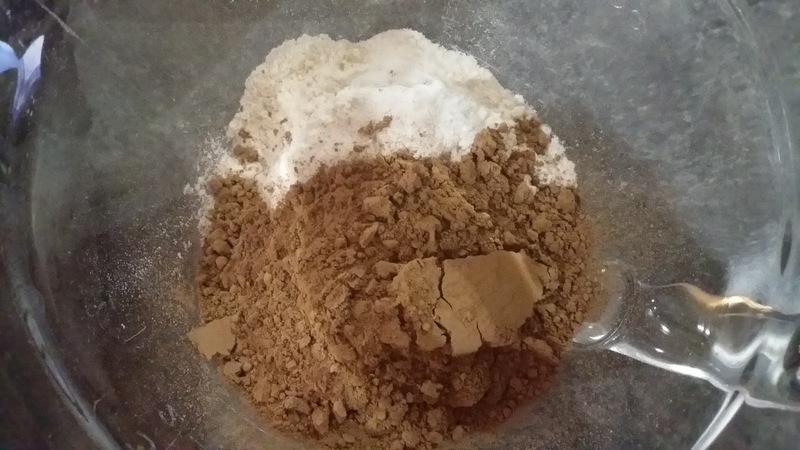 Add half the mixed dry ingredients to the wet ingredients and mix for about 30 seconds to 1 minute. Add the other half of the mixed dry ingredients and stir for 1 minute. Fold in 1/4 cup mint chocolate chips. Spray 9x9 baking pan with cooking spray. Spread brownie mix evenly in pan. 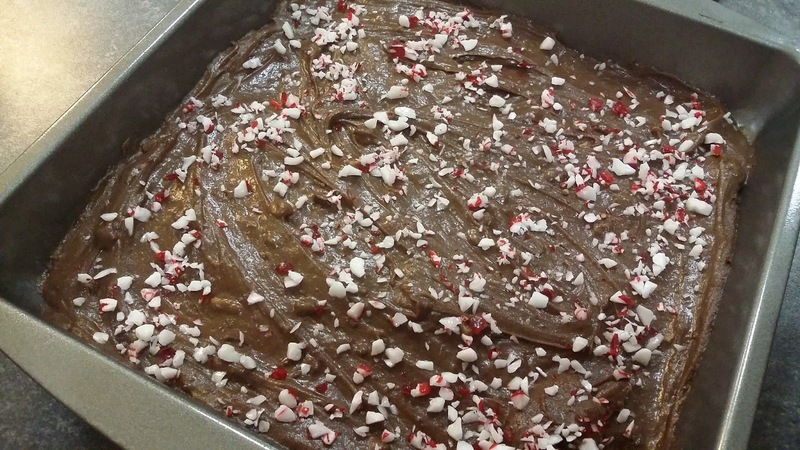 Sprinkle the 2 Tablespoons of Candy Cane Crunch on top. Bake in oven that has been preheated to 350 degrees for 20 minutes or until a cake tester comes out clean. Let brownies cool and then cut them with a plastic knife. We cut ours into 16 squares. 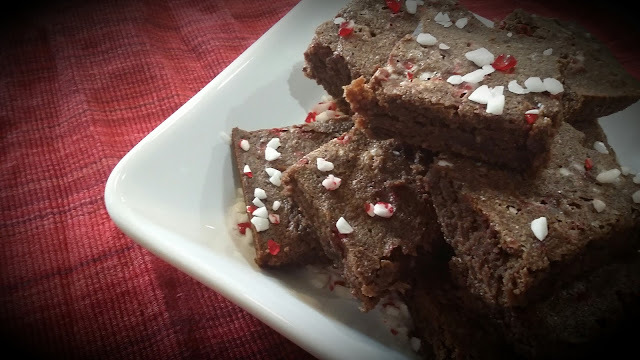 What's your favorite way to make brownies?